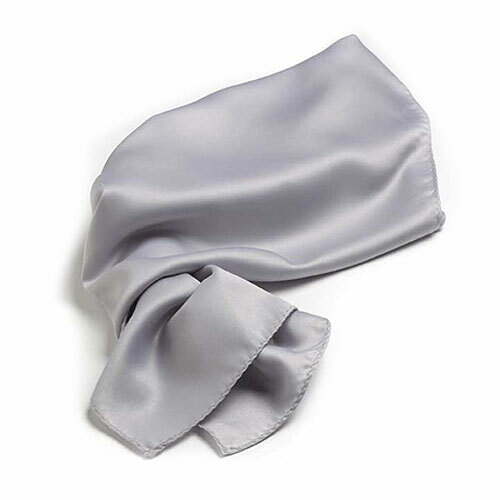 100% Polyester grey 30" x 30" scarf. Also available in polyester. 30" x 30" polyester ladies scarf. 12 piece minimum. Quantity discounts available. Individually poly bagged.